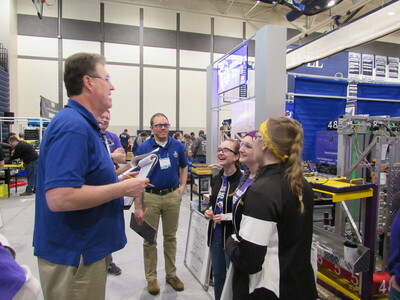 During this season, the team was extremely successful in recruiting more mentors, sponsors, and younger team members. 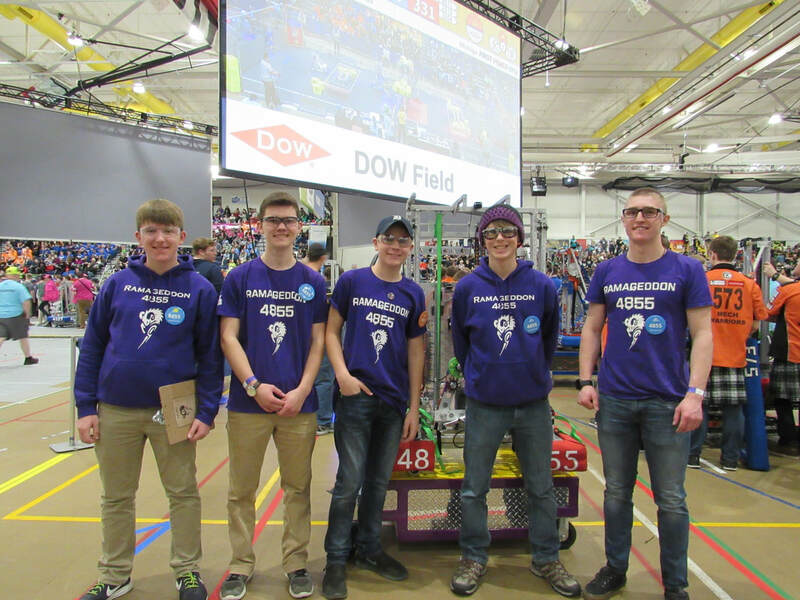 We also submitted our first entry for the Animation Video Award which garnered us positive reviews from the judges. 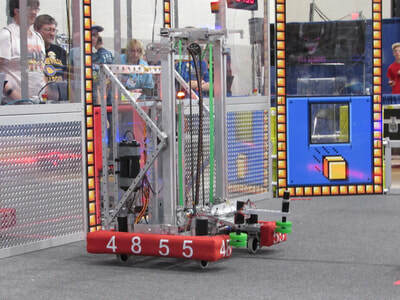 Thanks to our sponsors, we were able to purchase a swerve drive and a pneumatics system. 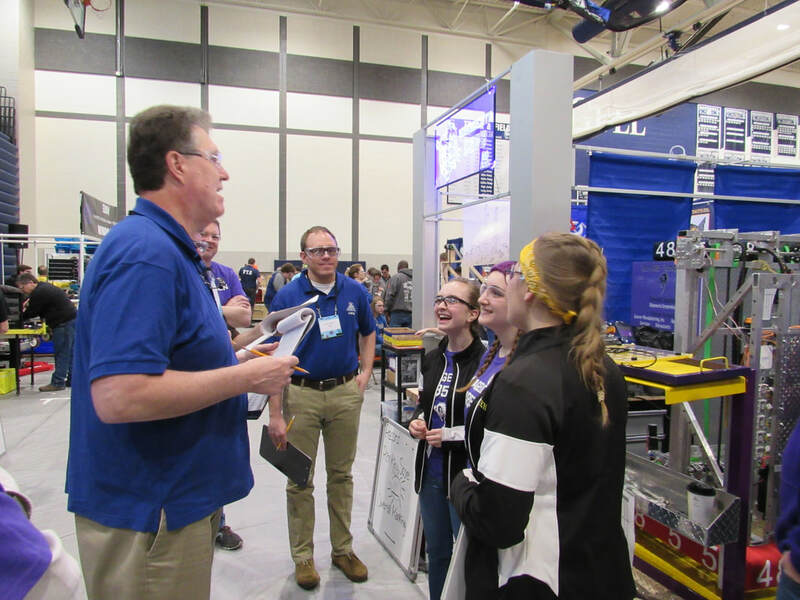 Our in-kind donors have come through for us this year as well, donating a brand-new utility cart for the robot, several Gladiator Garageworks storage units, and a brand new trailer for transporting our robot and equipment to competitions and events. 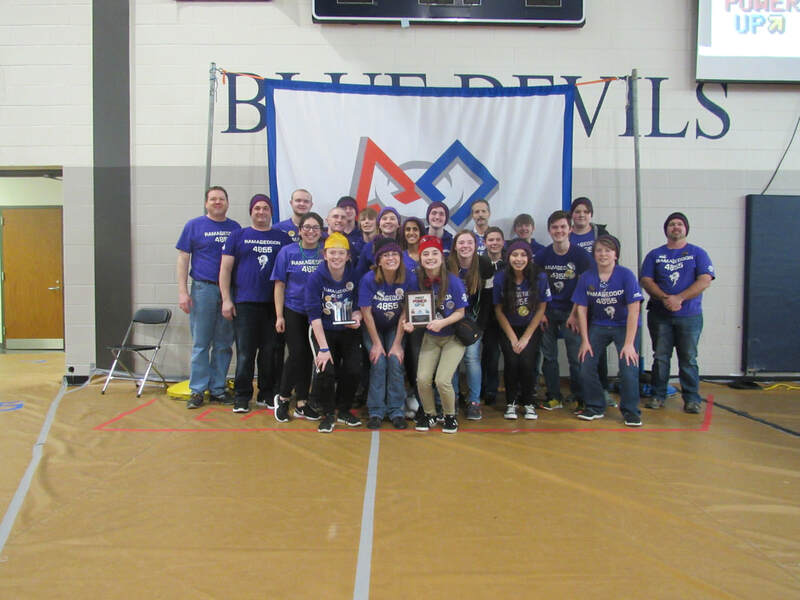 The team performed well in both of their district events and won the "Entrepreneurship Award" at the Gull Lake district event. 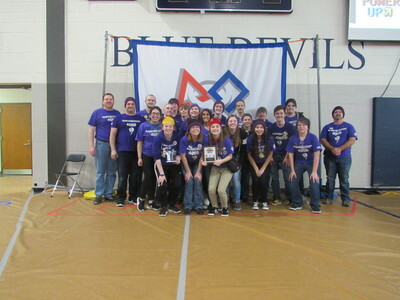 Thanks to their performance and award, the team qualified for and attended the FIRST in Michigan Championship at Saginaw State Valley University. 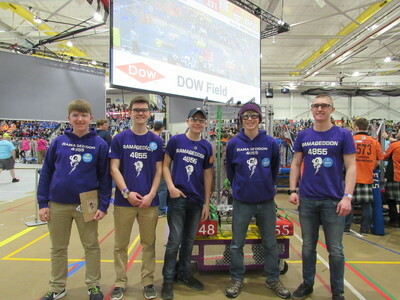 The team competed in the Dow field and ended qualifying as the 7th seed alliance captain. The team was eliminated after the quarterfinals, yet we did well enough to qualify for the FIRST Championship (Worlds) which was held at Cobo Hall in Detroit, MI. 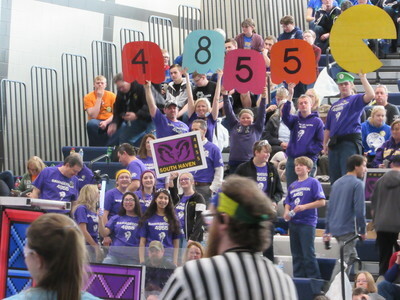 Once again, we performed extremely well in our division, earning the 7th seed alliance captain spot. 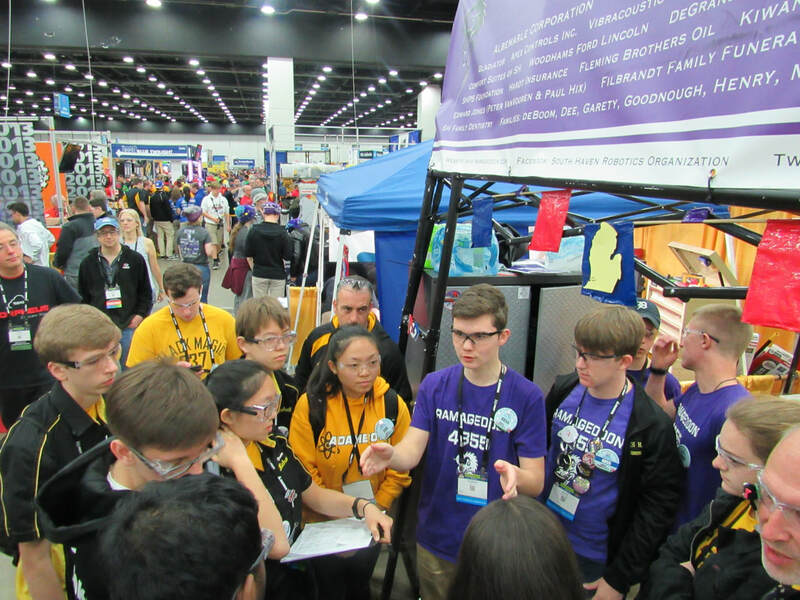 Just like the State Championship, we were eliminated in the quarterfinals but considering that this was our first trip to Worlds, we were thrilled with our performance.